It's rare, thankfully, that I buy a "pig in a poke" but it does occasionally happen. 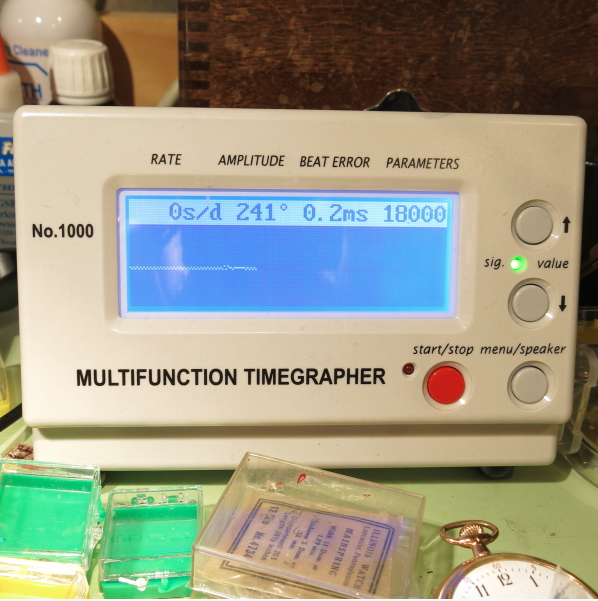 I recently purchased a watch that I thought was one model, but turned out to be another - the real issue though was the disaster behind the dial. Before I tell you that story though, let me tell you first about the model. 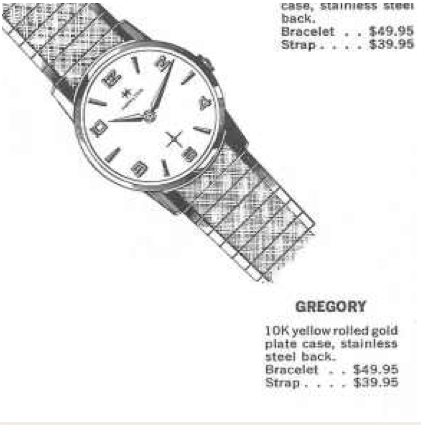 The 1963 Gregory was the second model to bear the name, the earlier version was released in 1954. Like the original, the 1963 Gregory was produced for only two years. The Gregory comes in a yellow rolled gold plate case with a stainless steel back. The dial has a pearlescent white finish with embossed yellow numerals and markers. 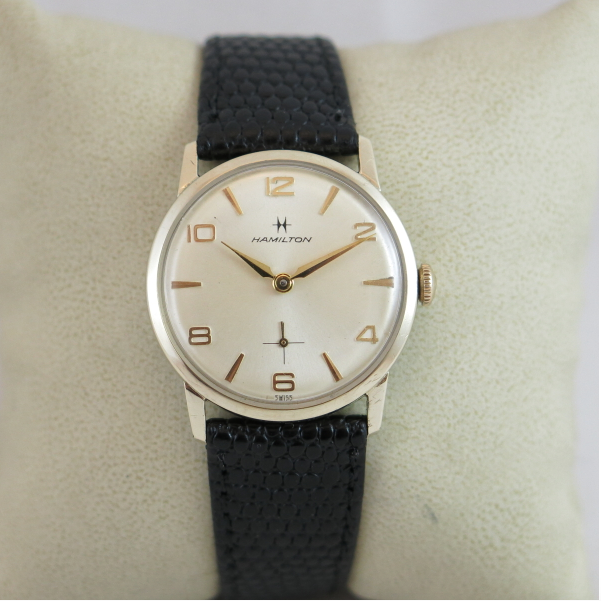 It was available on a bracelet or a leather strap. 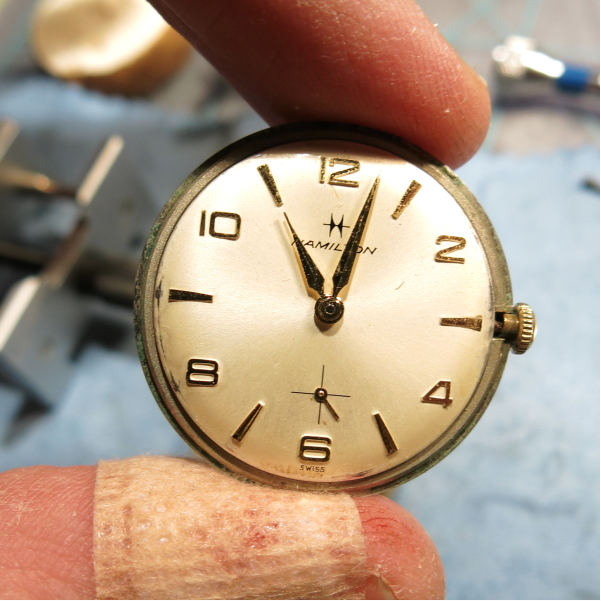 Behind the dial you'll find Hamilton's Swiss-made 17 jewel 686 movement. So onto my project watch. As it arrived it was non-running and listed for sale as needing a mainspring - I thought, "no problem, I can handle that". Removed from behind the crystal, the dial and hands are very nice. 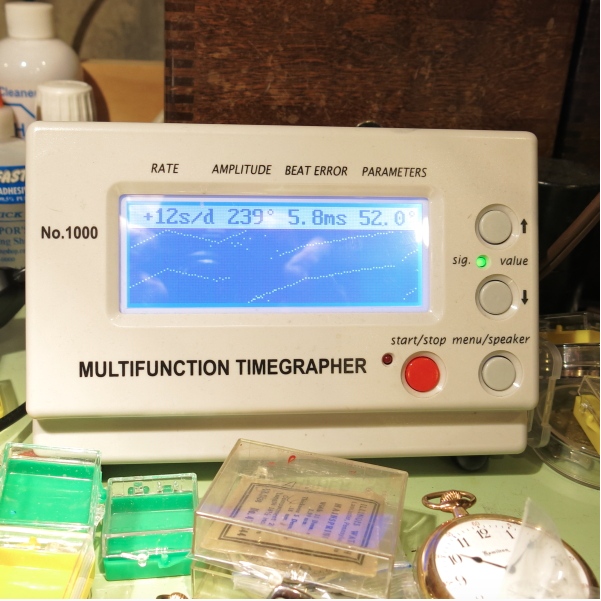 The other side of the dial is another story all together. 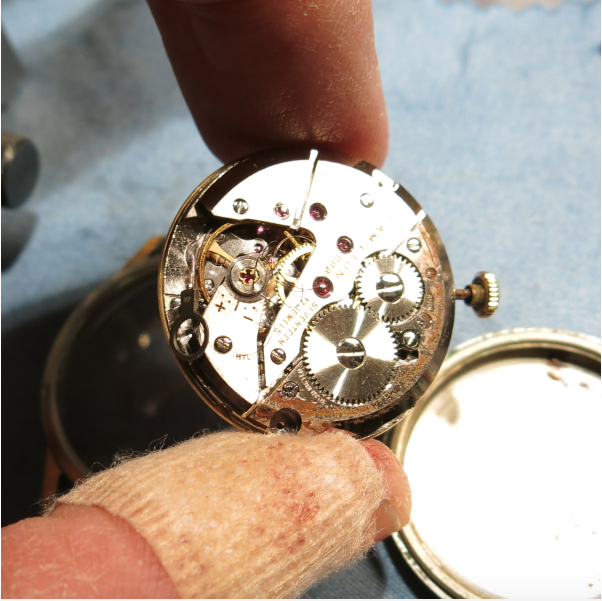 There's a ton of rust on the stem side and the hairspring is a tangled disaster… maybe the seller thought that was a mainspring? 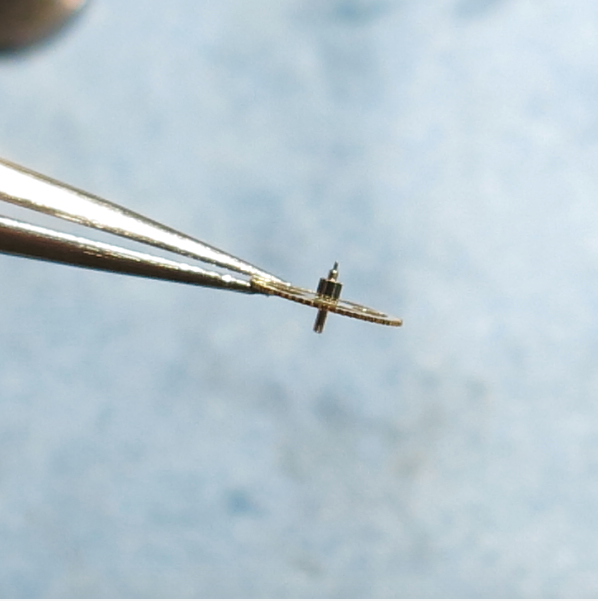 You can see the hairspring better in this shot… I think it might have a few issues... in fact, it's a total loss. 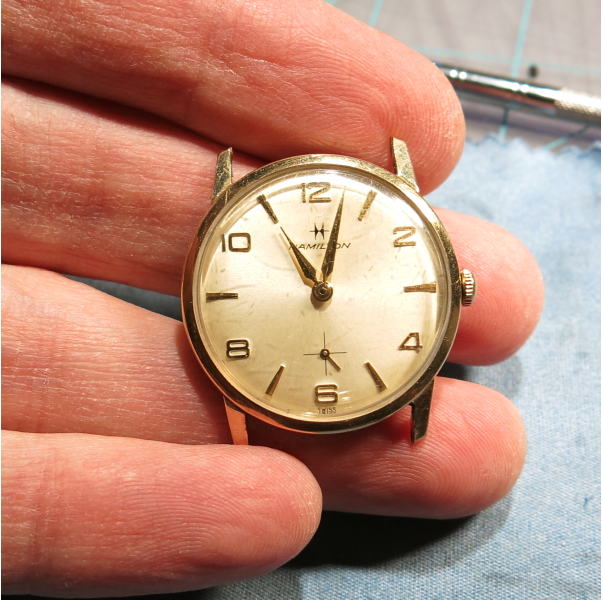 The extensive rust and the destroyed balance were probably grounds for returning the watch but since the rest of the case, dial, etc is decent I decided to keep it. I happened to have a spare 686 movement to drop in it's place. My spare movement has a broken second hand pivot - it should extend below the 4th wheel arbor in the shot below but it's not there. So I'll just use the 4th wheel from the damaged movement. 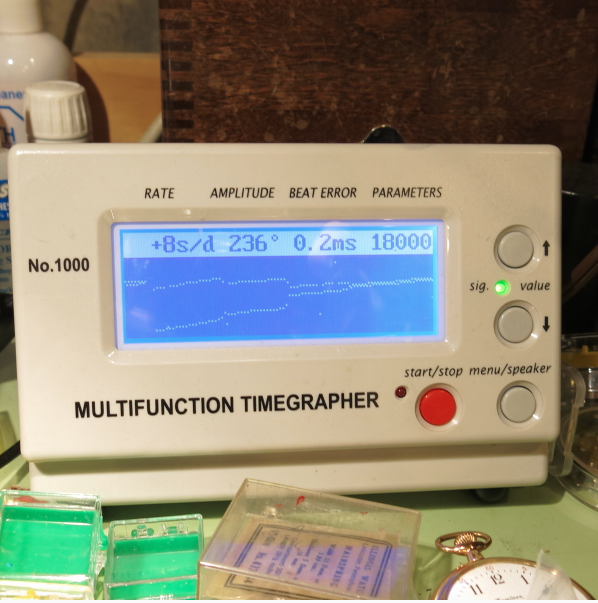 Well, cleaning the movement and a good 4th wheel got my donor movement back into working order but it started out running a little more than 3 minutes fast per day with a high beat error. Tweaking the regulator slows it down but I still have a high beat error. 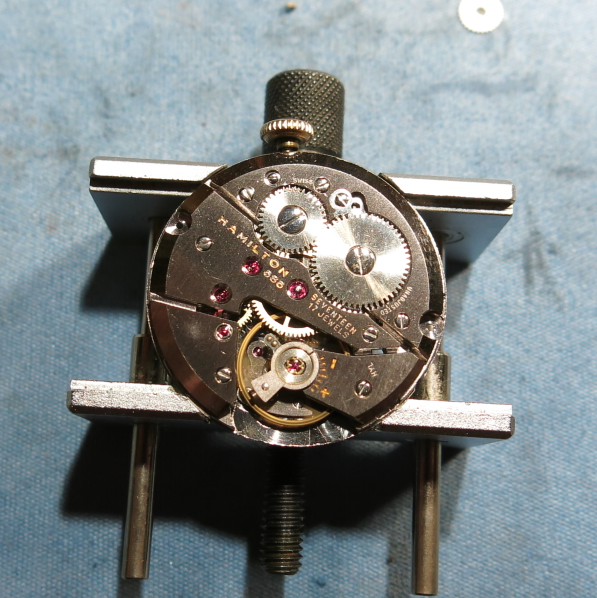 The 686 has a moveable hairspring stud so I can adjust the beat error with the balance in place and running on the timer. Notice how the two lines get closer and closer to each other, indicating the beat error is being reduced. 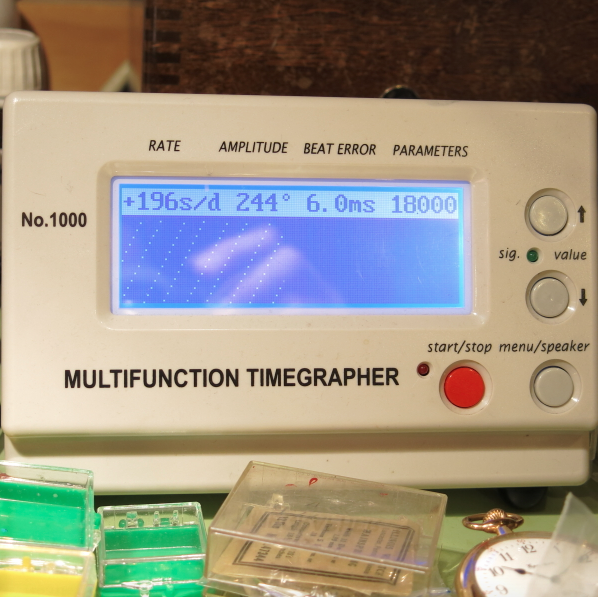 I'll settle for running right on time with 0.2ms beat error and nice amplitude. Mission accomplished. 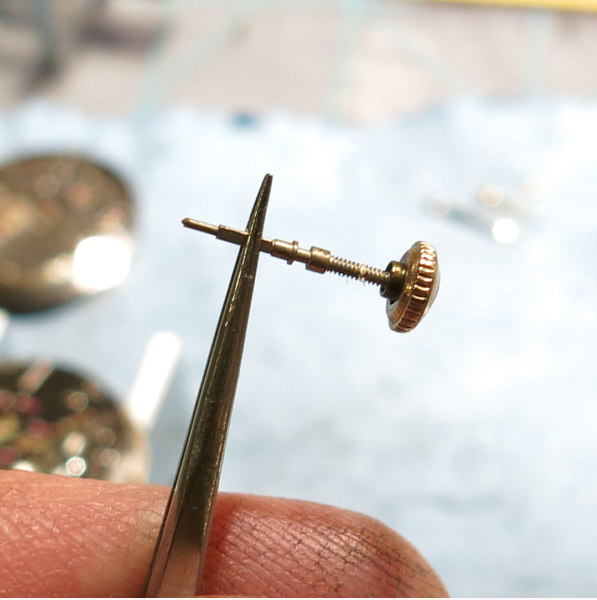 My original movement had a rusted out stem so I need to fit a new stem and crown for the donor movement. Fitting a stem means cutting it to the proper length. You don't want to goof that up! And here's the finished Gregory, all polished up, running great and outfitted with a new black lizard strap.